Did you know that the word 'plumber' (Pronounced 'plummer') derives from the Latin word for the metal lead - 'plumbum' and refers to the fact that lead was used extensively for piping until relatively recently. Many leaking pipes today are caused because the old lead pipes are now pitting and causing leaks in walls and under concrete and paving. Leak detection goes hand-in-hand with plumbing and repairing whatever leak we find. We also provide plumbing services for all your plumbing problems, whether it be a clogged toilet or toilet repair, or as a plumbing contractor installing new plumbing. Drainage and blocked drains, Bathroom and Kitchen renovations; Shower Floor Replacements; Geyser installations and replacements; Solar geyser installations; Water leaks and leak detection; Pipe locating; Burst pipes; Faulty & blocked toilets and unblocking drains and sinks; Fitting washing machine, fridge and dishwasher connections and Plumbing compliancy inspections. Plumb Leak will be able to assist you with your bathroom renovations. Moving pipes and waste pipes when your small bathroom design turns into a big small bathroom remodel is where we can assist you properly. Plumbing your kitchen fixtures properly is critical to getting the most out of the expense and effort of your kitchen design. Plumb Leak provide Kitchen faucet, taps and connections for your dishwasher, washing machine and modern fridge. 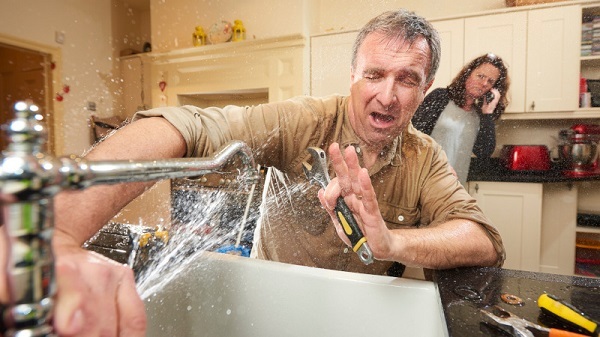 In addtion we make sure that your kitchen sink plumbing is problem free. Fitting a geyser timer to your geyser can save electricity costs in the long run. Plumb Leak are also experienced at geyser repair and geyser element replacement. No matter what your geyser problems we can help. We are also experienced in geyser installation for pressure geyers, geyser water mixers and geyser sacrificial anode replacement. Plumb Leak can also help you install the best Solar Geyser for your home. In conjunction with Condor Solar, Plumb Leak provides the best quality solar geysers and the best solar geyser prices. Call us for your solar geyser installation free quote. Blocked drains are a common problem in households. Whether the blockage is caused by roots, debris or maintenance issues, Plumb Leak will be able to help you out quickly and efficiently. We are also experts at drain cleaning. We provide a one year guarantee on all plumbing work we do. Do you have a plumbing problem? Are you looking for the best plumber Brackenfell and surrounds have to offer? Plumb Leak Cape are plumbers based in the northern suburbs of Cape Town and specialise in minor or major plumbing problems as well as leak detection.